While young flies express certain stress-response genes weakly or not at all, old flies express these genes at a higher level and rhythmically.DAVID HENDRIX, OREGON STATE UNIVERSITYSome genes controlled by the body’s circadian clock are more active in older fruit flies compared to younger ones. And oxidative stress can induce the expression of these genes in young flies, according to a study published today (February 21) in Nature Communications. Disruption of the 24-hour circadian clock has previously been shown to be deleterious, exacerbating aging-related health issues. These latest results add to a body of evidence suggesting an anti-aging role of the circadian clock. “The finding that the circadian transcriptional program changes with age is totally novel,” Amita Sehgal, who studies sleep and circadian rhythms in fruit flies at the University of Pennsylvania but was not involved in the work, wrote in an email to The Scientist. The circadian clock, well-studied in the fruit fly Drosophila melanogaster and in mammalian organisms, imposes a 24-hour oscillating rhythm onto cells of the body. 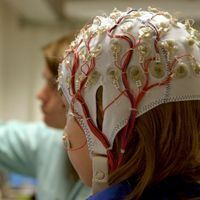 The clock regulates many important processes, from metabolism to sleep/wake cycles, memory consolidation, and neuronal remodeling. 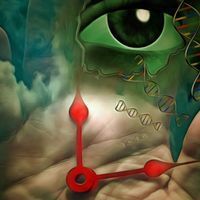 While the master transcription factors that regulate the clock are well known, the genes and processes they control and how perturbations of the clock can negatively affect lifespan are not fully understood. 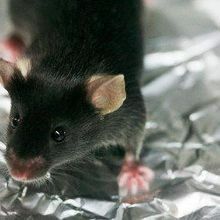 “It is unknown why disruption of the circadian clock can lead to neurodegenerative phenotypes in mammals and flies and a higher susceptibility to oxidative stress,” explained study coauthor David Hendrix, a computational biologist who studies gene regulation at Oregon State University in Corvallis. Hendrix, Oregon State’s Jadwiga Giebultowicz, and their colleagues performed an RNA deep-sequencing experiment, comparing global gene expression in the heads of young (5-day-old) and older (55-dayold) female fruit flies every four hours over a 24-hour period. “A day in the life of fly corresponds approximately to a year in human life,” noted Giebultowicz. Most of the 24-hour cycling genes in the younger flies were those previously identified to undergo a day-long rhythmic pattern. More than 45 percent of these genes also cycled in the older flies. The team also identified a novel gene-expression pattern, from young to old flies, for a group of cycling genes. For these genes, which the researchers dubbed “late-life cyclers,” 24-hour cyclical expression either intensified in older versus younger flies, or became rhythmic in the older flies. Because many of these late-life cycle genes turned out to have stress-related functions, the team next tested whether oxidative stress—which increases as organisms age—in young flies could induce expression patterns typically seen in older flies. The researchers exposed 5-day-old female fruit flies to 100 percent oxygen—hyperoxia—conditions and collected flies every four hours on the fourth day for RNA sequencing analysis. (Fruit flies can generally survive up to six days under hyperoxic conditions.) 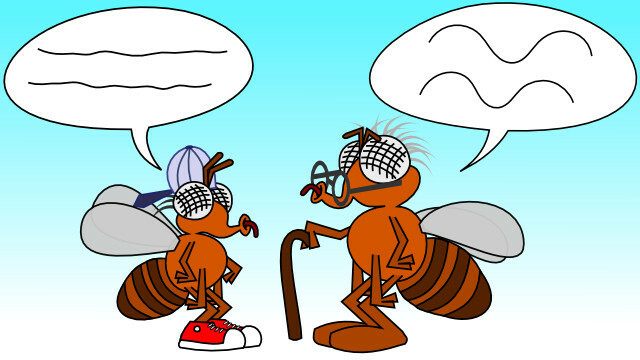 The oxidative stress induced the same rhythmic pattern in the late-life cyclers observed in older flies, the researchers reported. In flies missing the clock gene, a master circadian clock transcription factor, all of the genes upregulated under hyperoxic conditions failed to cycle. 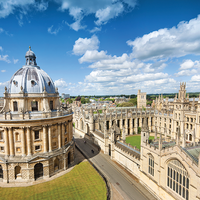 In addition to the 39 late-cycling genes Hendrix and colleagues found, the researchers also identified five genes of unknown function. These were found to be Piwi-interacting RNAs (piRNAs) that are processed into a number of small noncoding RNAs. These, the authors noted, may be the first-identified piRNAs to have 24-hour cyclical expression patterns. To Nitabach’s mind, the next questions are the physiological significance of rhythmic versus non-rhythmic expression of these late-cycling genes in old versus young flies, and the mechanism by which aging or oxidative stress apparently induces the 24-hour cycling expression pattern of these genes that are otherwise not rhythmic. The authors said they are next addressing which circadian clock genes control the induction of the late-life cycling genes, and how light/dark cycles may affect the expression patterns of these genes. R.C. Kuintzle et al., “Circadian deep sequencing reveals stress-response genes that adopt robust rhythmic expression during aging,” Nature Communications, doi:10.1038/ncomms14529, 2017.